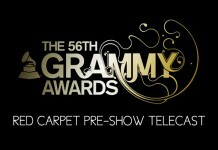 Grammy Awards 2014: Watch The Red Carpet Live Stream Here! “Two and a Half Men” Season 9 Premiere Watched by Almost 30 Million People! “Two and a Half Men” Shutting Down Could Cost CBS Millions! Two and Half Men Crew Pissed Off at Charlie Sheen!